You need money to hire employees, purchase equipment, and buy inventory and supplies. And, just as importantly, you need money to help you achieve your company’s vision for your business. Money can be thought of as the fuel that powers your business as does your bookkeeping basics. If your business uses more money than it earns, you will eventually run out of fuel and your business will simply come to a stop. If money is like the fuel in your car, then your business plan and financial reports can be viewed as the speedometer and other gauges – your dashboard. By regularly looking at your financials you can measure the worth and health of your business. The worth of a business is more than simply money, of course. There are intangibles such as personal satisfaction, freedom, lifestyle, contribution to society, and prominence in the business community. These all factor into the overall worth of a business. These intangibles, however, are difficult to measure and somewhat subjective as they vary for different people. This is why the primary measure of a business’s worth is financial. As an owner or CEO you don’t need to become an accountant a bookkeeper to do this. But you do need to master some basic knowledge that will enable you to take control of your finances. And bookkeeping is the foundation of accurate and timely financial information for a business. So, what is the Bookkeeping 101 Financial Ratios program for you? Essentially it is simply knowing and understanding the basic tasks that your bookkeeper performs for your business. In a nutshell, his or her primary function is to enter the day-to-day financial activities of your business into a general ledger, which is usually part of your accounting software. Bookkeepers often are responsible for some or all of an organization’s accounts. This listing of accounts is known as the general ledger. They record all transactions and post debits (costs) and credits (income). They also produce financial statements such as the Balance Sheet and Income Statement along with other reports for the owner, supervisors and managers. Bookkeepers prepare bank deposits by compiling data from revenue sources, verifying receipts, and sending cash, checks, or other forms of payment to the bank. Your bookkeeper records how much money is going out and where, and what money is coming and from where, by recording the revenues and expenses of your business transactions. These records can be maintained in a journal, a popular method that details receipts and expenses, or a ledger, a method that records transactions as credits and debits. Strictly speaking, a journal is referred to as a book of original entry. The general journal is a place to first record an entry before it gets posted to the appropriate accounts, while the general ledger houses the company's accounts. It is vitally important to record the cash your business spends so you'll have accurate figures of your expenses each year. Writing reimbursable checks or keeping petty cash records are both valid methods bookkeepers employ to document cash expenditures. Maintain records of all inventories to minimize theft and the misplacing of merchandise. While you may not have your bookkeeper do the actual inventory counts, he or she must record information such as dates purchased, stock numbers, purchase prices, dates sold, and sale prices. It is absolutely essential that you keep track of what customers owe you and what debts you owe others. This is also often a required task of the bookkeeper. This tracking includes recording data such as invoice dates, numbers, amounts, terms, dates and amounts paid or due, balances, and client information. Having employees makes you responsible payroll taxes. In addition, as an employer, you are responsible for maintaining employee forms such as the W-4 (Withholding Allowance Certification) and the I-9 (Employment Eligibility Verification). Your company is also responsible for maintaining records on withholding, employer matching, unemployment, and worker's compensation. An additional and critical task of the bookkeeper is to produce financial statements and other reports for the owner, supervisors and managers. While there are many reports that can and are produced by bookkeepers in businesses, there are a select few that you should always be receiving. At least once a month, as an owner or CEO, you should be reviewing and analyzing at lease these three reports: Your “P&L” or profit and loss statement, which is also known as an income statement, your balance sheet and your cash flow statement. These basic financial statements provide a picture of your business, how it’s performing, and its general financial health. You can learn more about your business from your financial statements than from any other information in your business. 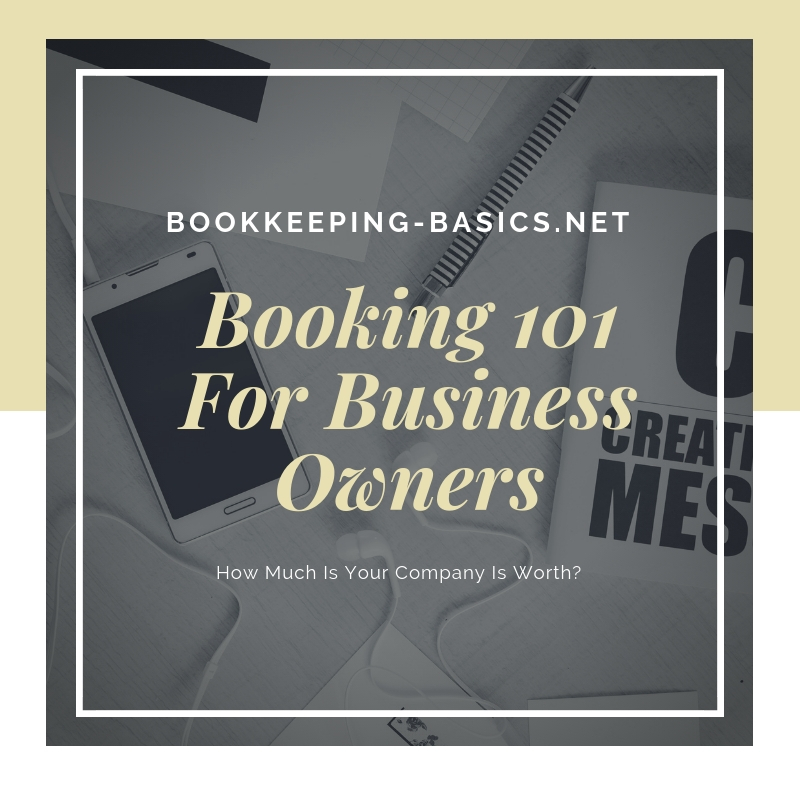 When you understand your income statement, balance sheet, bookkeeping basics and cash flow statements, you understand the basics of your company’s financial transactions. Everything in your financial statements reflects something happening in your business which is why they are vital management tools. They tell you what’s working and what’s not working in your business. So remember small business owners.. you don’t have to be an accountant or a bookkeeper to understand financial statements. And your business knowledge can guide your planning and action steps.